It’s here! I made the leap!! Today marks the first official day of the new Chaos & Kiddos. I’ve migrated from Blogger to WordPress and I couldn’t be more excited. I loved Blogger and had my little workflow down, but truth be told, I am an HTML nightmare, and as my blog began to grow, so did my need to integrate additional programming and functionality. I quickly became overwhelmed with how to insert the appropriate HTML in the appropriate places. I needed the easy button. The volume of available WordPress plugins and easy-to-use formatting options had captivated my interest some time ago, so I decided to make a change. And then it hit me. How in the heck do I do this? It was time to be very honest with myself. Up until this point, beyond tiny things, like buying my domain URL (If you haven’t done this, read 3 Mistakes I Made When I Started My Blog! ), I hadn’t spent money on my blog. Mainly, because I hadn’t really, truly set up the monetizing strategy platform that I wanted yet. I realized that I’ve been beyond blessed to have had such great blogging success in a brief 7 months of existence, and it was time to treat this puppy like the real deal. It was time to outsource. For a big move like this, I wanted to be sure my content carried over, my image links didn’t break, and that all of the hard work of the last 7 months wasn’t completely lost when I switched platforms. I knew I had neither the knowledge nor the time to commit to this task, so when Blogelina was suggested to me, I know exactly what I needed to do. Blogelina offers a wealth of great information and resources on a constant basis, and I’m always finding new tips and tricks on their blog. It’s very clear that they know what they’re doing. Whether you’re just a reader that keeps up with their recent posts, a seeker of quality takeaway resources for your blog , or looking for help taking your blog to the next level, there’s something for everyone. I was of course delighted to see the “Stress-Free Blogger-to-WordPress Transfer Package,” and knew I was in the right spot. And while I was at it, I opted for the Blog Makeover as well. If we’re going to do this, do it right! I could not be happier with the new blog. I love the new style and the absolutely mind-blowing plugins I have already been able to put into play so quickly with WordPress, but even more satisfying is knowing that all of my content is there, all of my images are present, and any back links or pins or anything other linked items will properly redirect to our new home. I know that if I had done this by myself, it would have been an absolutely nightmare and the source of countless panic attacks. I am so relieved that it is complete and so excited for what this means for the future of Chaos & Kiddos. I highly recommend the folks at Blogelina. They were timely, personable and patient. I had about a million questions, and they provided appropriate resources and friendly communication whenever I needed it. I am thoroughly satisfied with their work and my own sister already plans to use them to migrate her blog at the end of the summer. I always talk about how delegation is key to the success of a small business owner, especially one with a family. You need to know when you’re not the best man for the job, and I was definitely not the best man for this job. Choosing to invest a small bit of money for the promise of a seamless transition, more time with my family and less headache…worth every, single penny. Well done, Blogelina! And thank you! Click on the pictures and links below if you want to give Blogelina a whirl! I promise – you’ll be so glad that you did! It looks awesome, Katy! I love the background! Thanks lady! I agonized over which background image to go with and then I stumbled across this one. It’s a perfect fit! Congratulations on your new WordPress blog, it looks great! Thank you so much Kristie! It’s a work in progress still but I admit, I’m in love with the new layout! I am thrilled with Blogelina and so, so happy I made the move. I wish I had done it sooner! I love your blog, Natasha, so it doesn’t surprise me that we took a similar path to WordPress! Yeah for making the leap!! So excited for you and all the great things to come! I know you can do it! Thank you!!!! Your support and encouragement are always so awesome. I appreciate you! Woohoo! A pro blog for a pro blogger! You deserve it. Thank you! XOXO I’m super excited about the new opportunities this will bring for the blog. One more thing off my list and now with a real legit blog, I can really devote the time back to the IBA! Looks wonderful Katy! I’m also seriously considering making the move. I’ve already checked out Blogelina’s site and made an inquiry. If I make the move it will probably be at the end of the summer also, right before my busy Fall show season. Thanks for sharing! Thank you Carmen! Can’t wait to hear how your experience goes. If you have any questions, be sure to let me know! 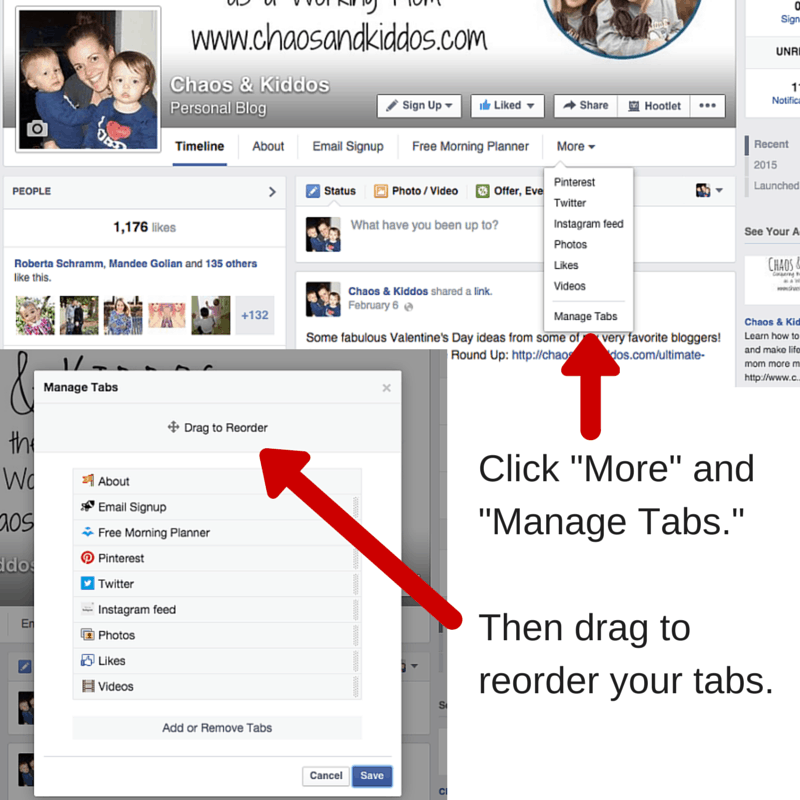 Custom Facebook tabs are a great way to spiff up your business page with touches all your own. In a visual flow format that’s mostly controlled by the social media platform itself, making the most of these tiny advantages and calls-to-action can be pivotal to expanding your reach. Take steps to prompt your audience to actively engage and direct visitors on your business page to your areas of greatest interest (i.e. subscribing or following you on social media). Custom Facebook tabs give you the opportunity to plant a tiny seed of interest by highlighting applications that otherwise tend to be ignored. Implementing custom Facebook tabs starts with activating the appropriate applications on your business page. Connect your Twitter, Pinterest and Instagram feeds directly to your business page (Did you know you can set up your Instagram to post directly to your Facebook business page?). Explore your email subscriber tool for Facebook integration. If you’re using LeadPages via WordPress, activate the auto-Facebook tab (amazing!). Your next step is to order your Facebook tabs so that your top 3 (the ones you plan to create custom Facebook tabs for) are at the top of the list. You can do so easily by navigating to your business page, clicking “More” on your top tab bar, and then selecting “Manage Tabs.” From there you can drag up or down to order your list and even delete tabs that serve no use for your page. Now we are ready to create your custom Facebook tabs. This feature is kind of hidden…which is why most people don’t customize their tabs! The phrase we hear most often when introducing this to our clients is “Wow! I never even knew that existed!” Click on your page Settings and then navigate to Apps, which should show a complete list of the programs you just integrated with your page. Click “Edit Settings” on one of your apps and there it is! You can accomplish two special customizations here. You can change the tab name (i.e. from LeadPages to Free Motivational Planner) and upload a custom tab image. Yay! The appropriate size for custom Facebook tab images is 111 pixels wide by 74 pixels high. And there you go. You now have custom Facebook tabs that can drive traffic to subscriber portals, other social media profiles and more. Make sure your custom Facebook tabs are in line with your brand style and message. Maybe try a few different styles to see if any convert more than others. Take the opportunity to make the page your own and entice your audience to take the next step by clicking through. There are so many little ways you can personalize your online profiles and increase engagement with your market simply by improving your visual presentation. This week, we’re introducing a few ways to sharpen your Pinterest profile. The most visual of all the social media platforms out there, and second only to Google for searching for just about anything…Pinterest is an application that no small business owner can ignore. The case for Pinterest and how to maximize market engagement could be a whole blog in and of itself. We’ll have more tips and tricks to share later, but for now, let’s start small. Today, let’s talk about how to make custom Pinterest board covers and how to manually upload and edits pins (without hitting the “Pin It” button). Custom Pinterest board covers create a strong visual consistency in your profile that can help visitors understand your brand, intent and authority in your area of the business (or blogging) world. To create them, you’ll need to understand how to manually upload and edit pins, so we’ll start there. Log into your Pinterest account and open one of your boards. See that nice little “Add a Pin” button? Click it! Once you click that button, you’ll have two options. Add from Web or from your Device. When you click from Web, it’s going to remind you that you should just use a “pin it” button (and they’re right). For this lesson, let’s click from your Device. It will prompt you to upload a photo and you’ll browse your device (in this case, my computer hard drive) and choose the image to upload. It will automatically trigger the pin box and you’ll be able to choose your board and add a pin description. Voila! You’re probably going…something is missing! Where does the newly created pin take you? And you’re right. We’ve got one more step. Once the pin has been created and uploaded. Click to edit the pin and then add the URL that you want your audience to click through to in the Source box. Now…ta da!!! Voila!! You’re done! 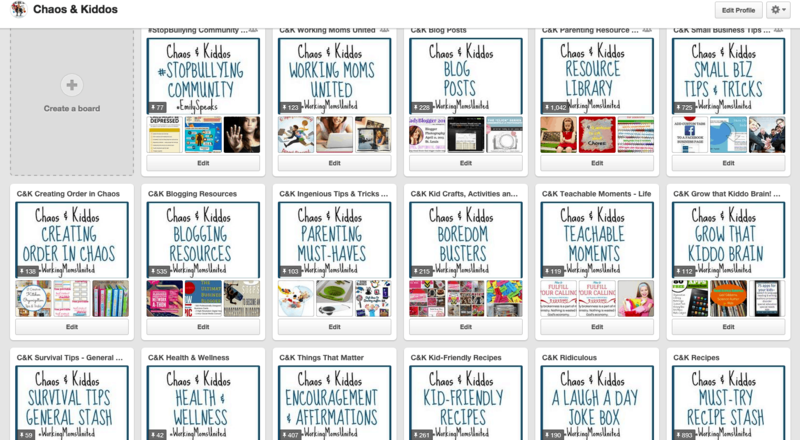 The process for adding custom Pinterest board covers is 90% what you just learned and 10% PicMonkey fun. Click “Custom” to get started. The magic dimension size for custom Pinterest board cover is 217 pixels x 147 pixels. Once you have your board covers created, you’ll upload each of them via the process above. You don’t have to add a source URL to click through if you’re just going for Pinterest pretty, BUT…our recommendation is to take the opportunity to link through to your website wherever you can! So, if you have a landing page on your website that relates to the items on your board, link your custom board cover through to that page! You never know who might click! To assign the new custom boards as the cover images in your profile, click “Edit” and then “Change Cover” and you’ll be able to scroll through to the new cover image. Click “Save Changes” and you’re done! Are Your Product Photos Hurting Your Business? Why are Quality Product Photos Important to my Business? There are a lot of factors that impact your sales success (or failure). Just like the right strategy and mix of medias can propel sales forward, most marketing mistakes are closely intertwined and can often work against each other to create a rapidly downward spiral. Often, new business owners overlook the power of their product photos when considering market strategy. Today’s world is visually driven by the real-time access that social media provides. The good news is that great images get a lot more love these days. The bad news is that it’s made us a bit complacent when it comes to quality. Not everyone is a pro, and seeing blurry or poorly exposed photos in our news feeds has become a regular occurrence. The result has been small business owners that underestimate the importance of consistent, high quality product photos. Many make do with poor images straight from their camera phones (you can get good images on your phone!) and few take advantage of the massive range of editing software available. Overlooking the power of your shop’s visual draw is a huge mistake. In a visually motivated society, a certain level of complacency has desensitized our eyes and we often find ourselves aimlessly scrolling through images until something truly powerful catches our attention. The“Well, that’s good enough, it doesn’t have to be perfect.” response to mediocre images most likely means that your product photos are getting lost in a churning sea of visual garbage that your market blindly scrolls past instead of clicking through to purchase. We live in a world of options. Gone are the local general stores as the only source of food and supplies. These days you can quite literally order something from any corner of the globe with a few clicks or swipes on a computer or phone. The availability of endless options is overwhelming for consumers. Most will gravitate towards the easy button, which typically factors in two key markers. 1. Ease of Website Navigation (More on that later!) and 2. Stellar Product Photos. You have one chance to grab their attention, and even less than that to keep it. All of the factors need to play to your success, not your demise. And that means your product photos should be impeccably styled, consistently clear and properly presented to your marketplace. How Do You Improve Product Photos? 1. Simple Presentation: Make sure your images highlight your wares. Remove distractions and design a simple layout that makes your product the star! Use simple backdrops and keep product photos tight and clean, avoiding background furniture, people or other elements that do not directly correlate to your market or highlight your product. If your images show your product in use by clients, make sure your background is staged, clean and devoid of the busy of life (i.e. piles of bills, food out, laundry, fridge covered in magnets). You want your buyers looking at one thing. Your product. Don’t tempt them to look away. 2. Consistent Styling: Your product photos should present as a body of work. This means that each product should be photographed similarly. If your product photos are laid out in an Etsy shop, and their design and presentation differ considerably, your buyer will spend more time (even subconsciously) contemplating the differences. The end result may be poor decision-making or confusion, because the styling has become a stumbling block instead of a showcase. Use the same set up for each product, edit them consistently and make sure the images compliment each other instead of competing with each other. The last thing you want to do with your business is to create an environment where you are competing against yourself! 3. In-Focus: Blurry photos belong in one place. The trash. 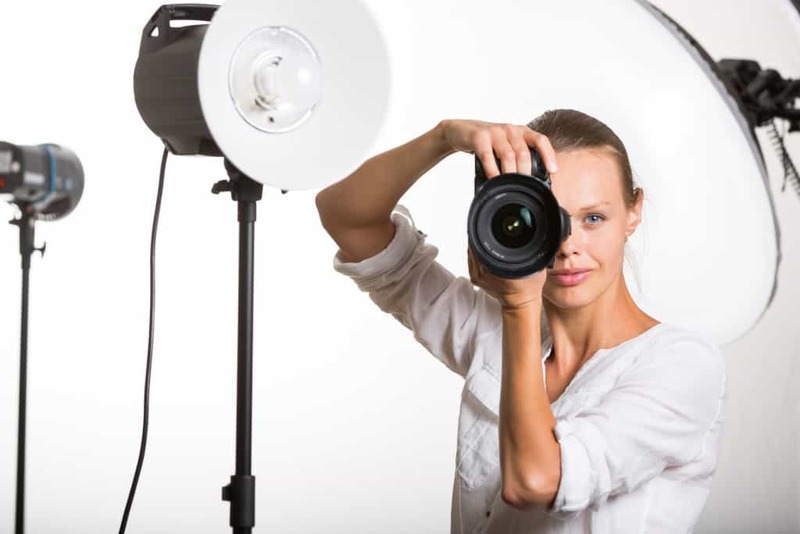 That may sound harsh, but you’ll be much happier when you throw away poor product photos and take the extra time to create stellar product photos. Out-of-focus images send a few messages to potential buyers. You don’t take your business seriously, you don’t know what you’re doing and you don’t care enough about me to present your product in a way that I can clearly see…just to name a few. None of those thoughts are encouraging click-throughs. Show value to your audience by taking care to make their visit to your shop as enjoyable as possible, which means they can look at your images with ease, clearly understanding your talent and services, and properly interpreting whether it meets their need. 4. Properly Exposed: Admittedly, there is a bit of a learning curve here, but this is important! If your product photos are overexposed (too bright) or underexposed (too dark), then your prospective buyer can’t see all of the details. They have to work harder to visualize your product in their hands. Like we mentioned before, don’t make them work hard to consider purchasing your services. Whether you invest in professional help or explore today’s popular editing software, make sure your final product photos are well-balanced and properly exposed.